In 2008, a US district court said that expired patent numbers fall within the scope of “unpatented articles”, as defined by the section of the US statute relating to the standards for bringing lawsuits for false patent marking. 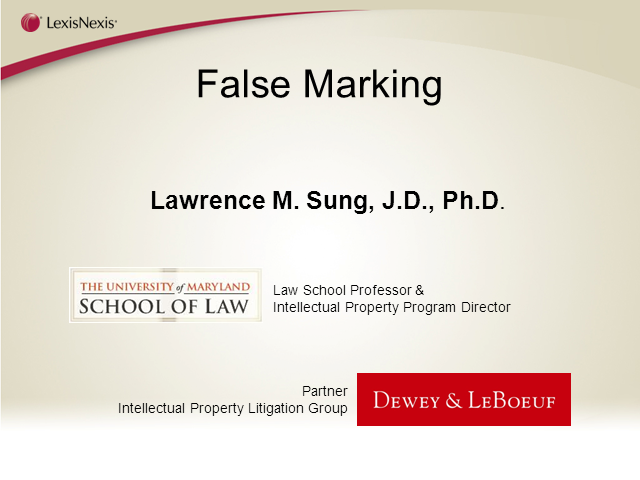 Then, in December last year, the Federal Circuit ruled in Forest Group v Bon Tool that false marking defendants are subject to potentially much greater fines than had been previously awarded. These two cases have arguably incited a false marking frenzy in the US, with hundreds of suits having been filed this year alone. This webinar will discuss how we got here, proposals to curb the problem, and strategies for companies to both avoid and successfully navigate such actions.